. إن الخدمات التي يقدمها Holiday Lodge Motor Inn تضمن للنزلاء إقامة مريحة. يمكن لضيوف الفندق الاستمتاع بالميزات التالية على أرض الفندق: واي فاي مجاني في جميع الغرف, مجهز لذوي الإحتياجات الخاصة, واي فاي في المناطق العامة, صف السيارات, خدمة الغرف . في الفندق غرف نوم يتجاوز عددها 16، كلها مجهزة بعناية وجمال وبعضها مزود بـ تلفزيون بشاشة مسطحة, اتصال لاسلكي بالإنترنت, اتصال لاسلكي بشبكة الإنترنت (مجاني), غرف لغير المدخنين, مكيف هواء. كما أن مجموعة الخدمات الواسعة الموجودة في الفندق لضمان راحتك تترك لك الكثير من الخيارات لقضاء وقتك أثناء فترة إقامتك. يشكل Holiday Lodge Motor Inn بخدماته الراقية وموقعه الممتاز، قاعدة مثالية للاستمتاع بإقامتك في ناروما. Great location and friendly, helpful management. Very clean and well looked after rooms, although a bit dated. Functional but not a 4star hotel...more 3 star. Good for basic accommodation with most mod-cons. nice good. little place. i had a family room and they provide microwave, plates and even an electrical warming blanket. The gentleman who checked me in was very helpful, putting my on the ground floor and inviting me to park my motorbike under cover right outside the room! The room was clean, comfortable and appropriate value for money, especially with free, fast wifi. The hotel is near shops and a short walk to beach etc. The owners were very frienly and advised us to visit the Narooma pietr to see some fur seals (this is a far cheaper option than going to Montague Island). The hotel was quiet, although very close to the highway. Rooms were spacious with a small kitchen. 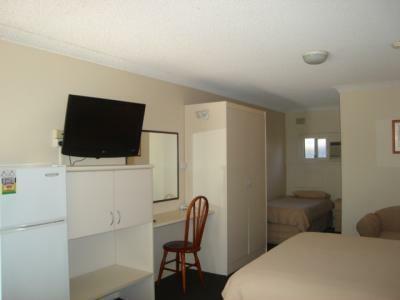 Nicely presented motel, very convenient location and lovely staff. Rooms average motel size very clean and all you need. Would definitely stay here again. the free wifi and broadband was a big plus! very clean and comfortable with all the wares you need! owner and wife were friendly and helpful. convenient location close to beach. plenty of dvds in office made available to watch at no charge. good restaurant directly across the street. 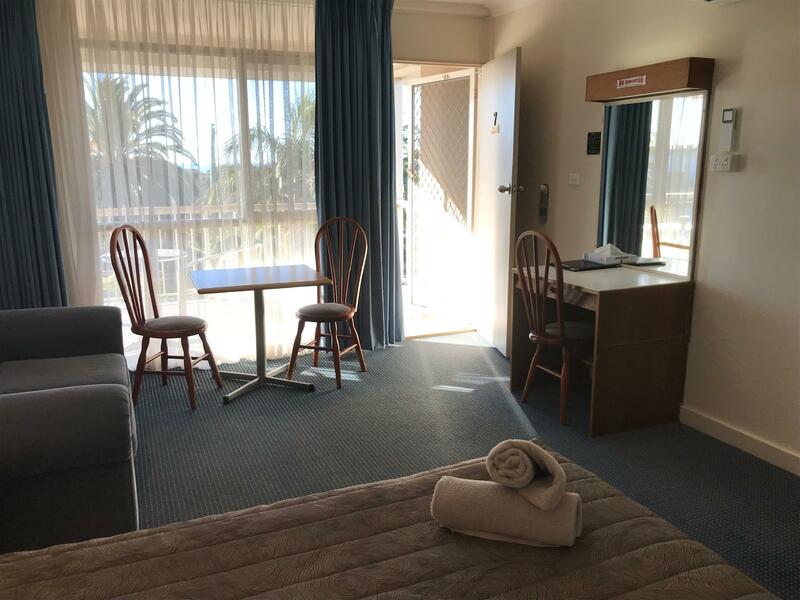 really friendly and helpful service, quiet room - would have expected more noise close to the highway,room was really clean and a good size for a couple,the kitchenette had good utensils and crockery, good tv and dvd player, internet connection. good place to stay as a base for exploring the region. 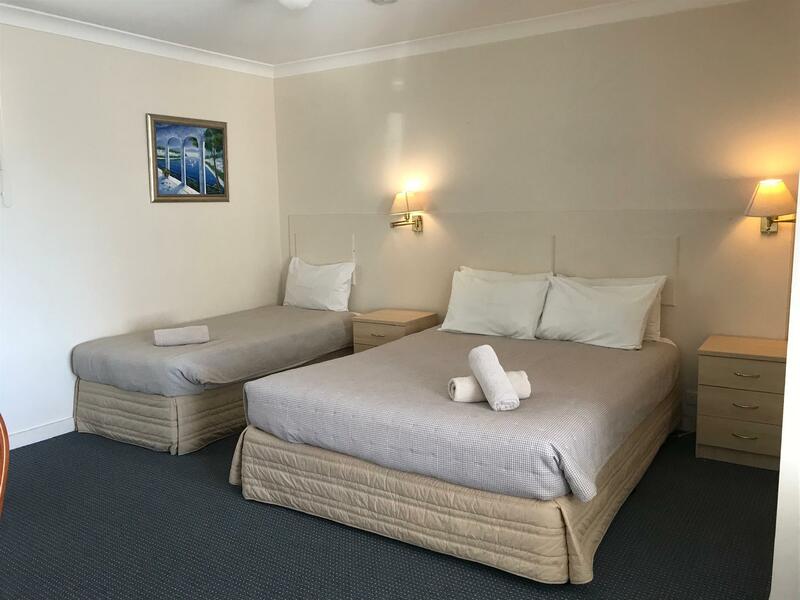 Really nice Motel, the rooms were very clean and tidy, the owners and staff were all very friendly and helpfull, even providing us with a jug of fresh milk for our morning coffee, which made a fantastic change to the little tubs of uht the other hotels we were staying in were using.